How do I edit a post that I have shared from my Page on Facebook? 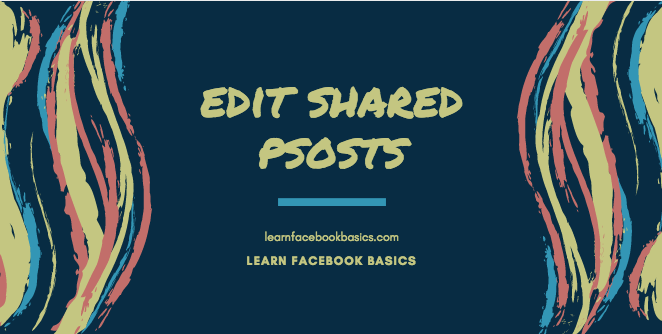 How do I edit a post that I've shared from my Page on Facebook? Note: Posts that have been boosted or are part of an ad campaign can't be edited. Keep in mind that posts can be edited by other admins and editors who work on your Page.